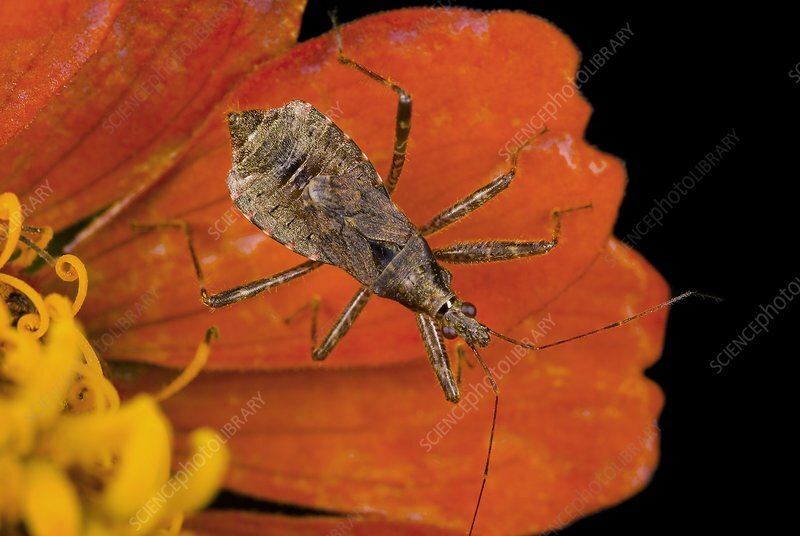 Damsel bug on a flower. Damsel bug (Himacerus apterus) on a Zinnia sp. flower. Photographed in Wroclaw, Poland.